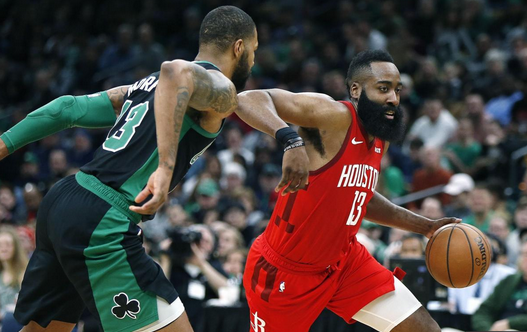 Houston is coming off an impressive win over the Sixers in which they controlled the game for almost the entire 48 minutes, and they’ll be hoping to keep the run going. They have moved up to #3 in the west and a win today could really help to start to solidify that. Dallas, on the other hand, has been a horrific road team. But they are one of the better teams in the league when they play in front of the home fans, as they will do tonight. Luka Doncic will have his work cut out for him tonight. Depth is the big key with this group, though it was not the case at the beginning of the season. The additions of Iman Shumpert and Kenneth Faried have really helped to solidify the second unit, as has the Christmas Eve signing of G Austin Rivers. Daryl Morey has improved this group on the fly this year and deserves a lot of credit. Dallas has not had a great season, and if this will, in fact, be the farewell year for Dirk, well, we will all miss him. He has become a regular in the Mavs rotation, however never playing more than 20 minutes on any given night. They underwent a major roster overhaul at the deadline, and we won’t see them at full strength until next year when Porzingis finally returns to the floor after missing this entire season. Tim Hardaway Jr. has continued to get buckets, while Trey Burke has seen himself going in and out of the team’s rotation. They have not had a trustworthy center since trading DeAndre, but Maxi Kleber is the closest thing to that. He’s tall with an impressive wingspan and has a knack for protecting the rim. Hailing from the same hometown in Germany as Dirk Nowitzki, he has done a really nice job here. So has Dwight Powell, who has played some great basketball of late. Be sure to bet HOU -8! Dallas is not going to be able to keep this one close enough to earn a victory. Yep, it is going to be the Rockets claiming their 41st win in 66 tries, and keeping hold on the #3 spot!